- I might have a commitment problem. I work from about 8:30am to 8 or 8:30pm every day (lately), often with work to take home. And things at work during the day are so busy and stressful that I rarely even have time to check my personal email. By the time I get home, I'm absolutely exhausted, eat dinner on my lap on my couch, and crash. That's my life. And on the weekends I'm sooo exhausted from the week. I honestly have no idea how a person with a schedule like this could possibly complete NaNoWriMo. That's right, you knew it was coming to this, didn't you? I've only logged about 6500 of the required 50,000 words that are supposed to be written two weeks from today. Obviously it's not going to happen. Which is too bad, I liked my characters. But I'm just flat-out exhausted. - I quit Spanish class for the same reason. It was stressing me out. - I am a Highly Sensitive Person (HSP, it exists, look it up! ), and this means I am not suited for a lot of things in my life. Especially everything at work. This career is not a good one for an HSP at all. This tires me out more than a normal person, which makes the above even more relevant. I'm trying to find ways to deal with it for now, but it's difficult. I need to figure out my life. 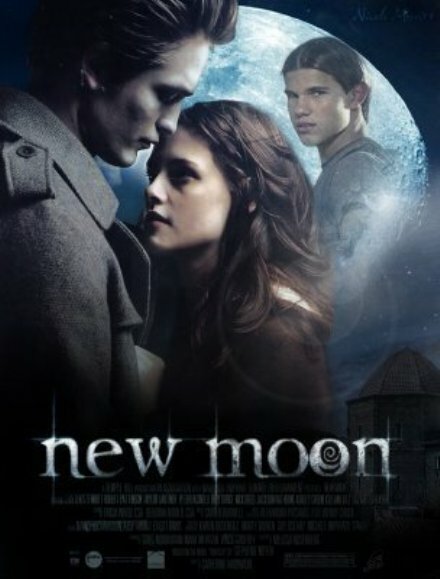 - I can't wait for the new Twilight to come out this weekend. Call me a nerd if you want. I think I'm going to re-read New Moon in celebration. - I'm going to be a bridesmaid in my friend's wedding, and she is going to order the dresses from either Ann Taylor or J.Crew. So hopefully they won't be hideous like most other bridesmaid dresses in the world. Hooray! - I also can't wait for Thanksgiving. A lot of my cousins are coming to town, and I'll get to see my friends from home. Plus, a week off of work. YAY! Have you seen (500) Days of Summer. It has Zoey Deschanel in it and I know you love her. I hope you can get a chance to relax and watch it. I was in love with both characters after about 5 minutes. If anyone happens to go to the Broadway or do anything else fun over the holiday next week, shoot me a text. I'd love to catch up. Replace the period in the first sentence with this: ? I haven't seen it, but my sister also told me I would love it. I definitely need to add it to my Netflix. And yeah I'll definitely text you for whatever's going on. I feel like I haven't seen you in forever!